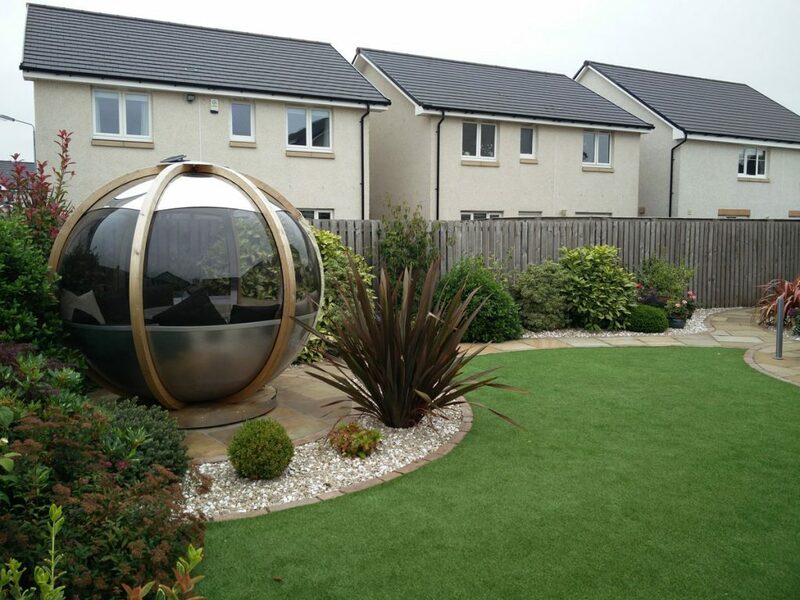 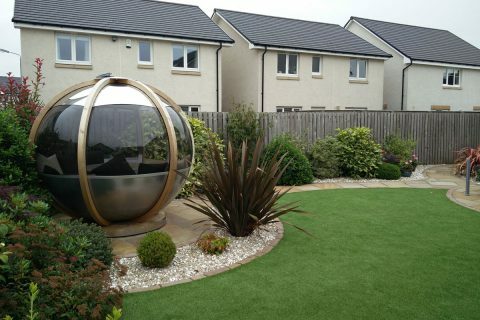 Previously, this garden was the show garden for the new-build development but still required a complete makeover. 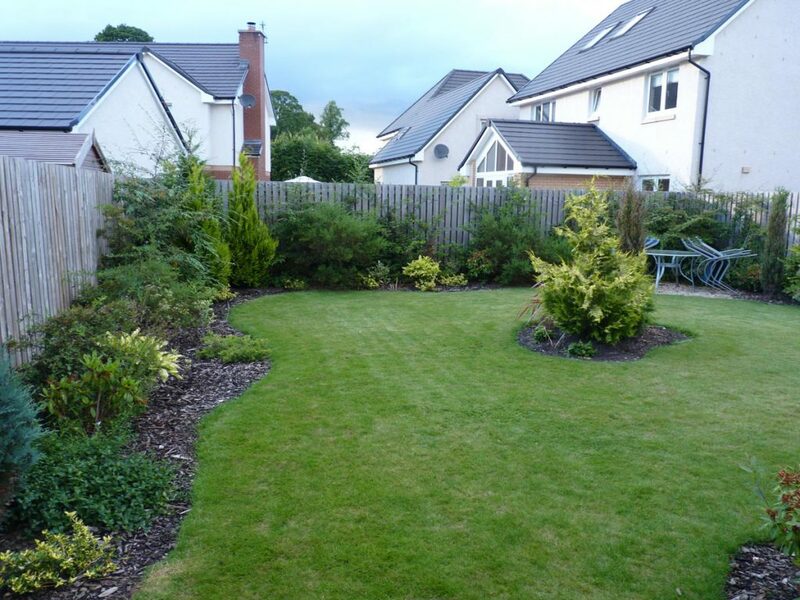 The wiggly lawn was not attractive and the selection of conifers lacked interest. 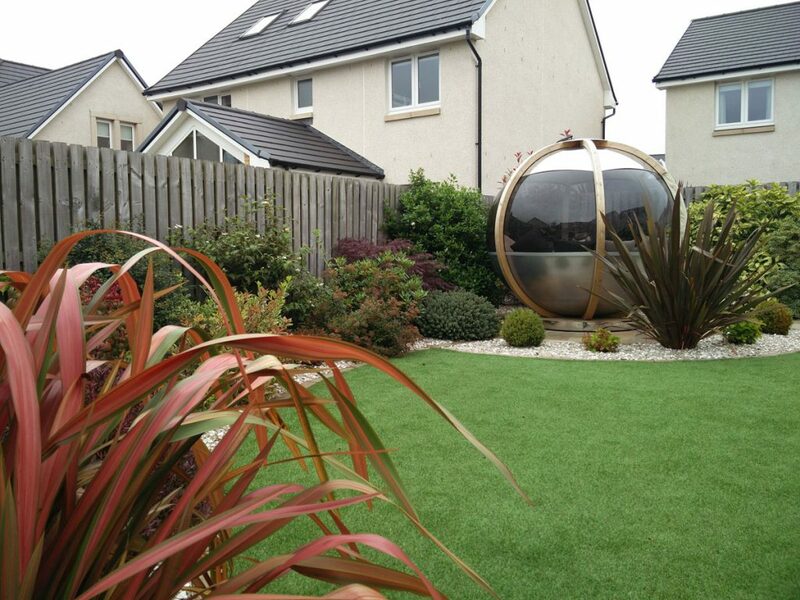 The clients wanted a low maintenance garden that still looked beautiful and was truly a show garden. 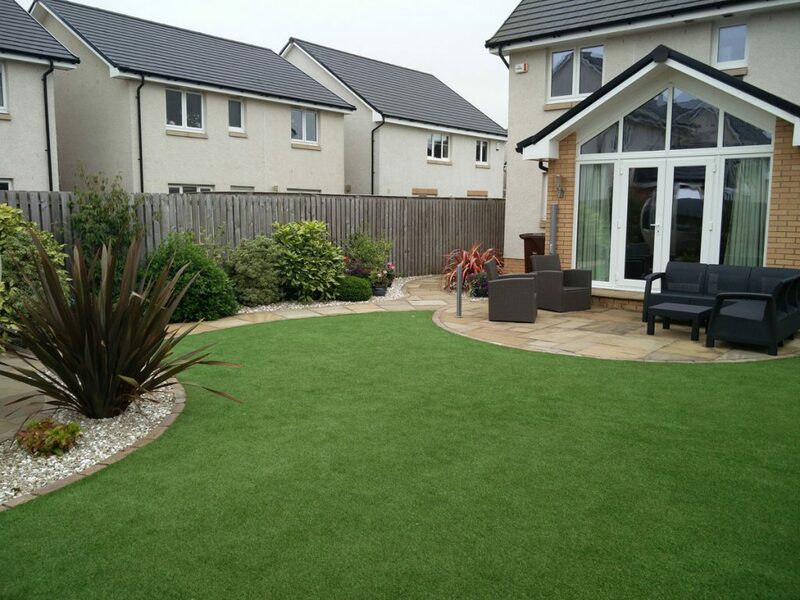 "We are delighted with the outcome of the work carried out by Vialii and found them responsive, courteous, knowledgable and capable." 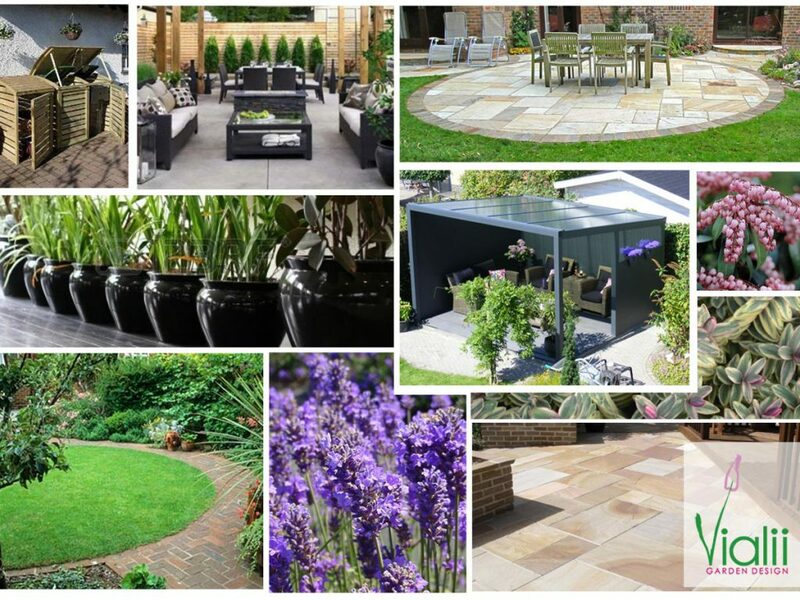 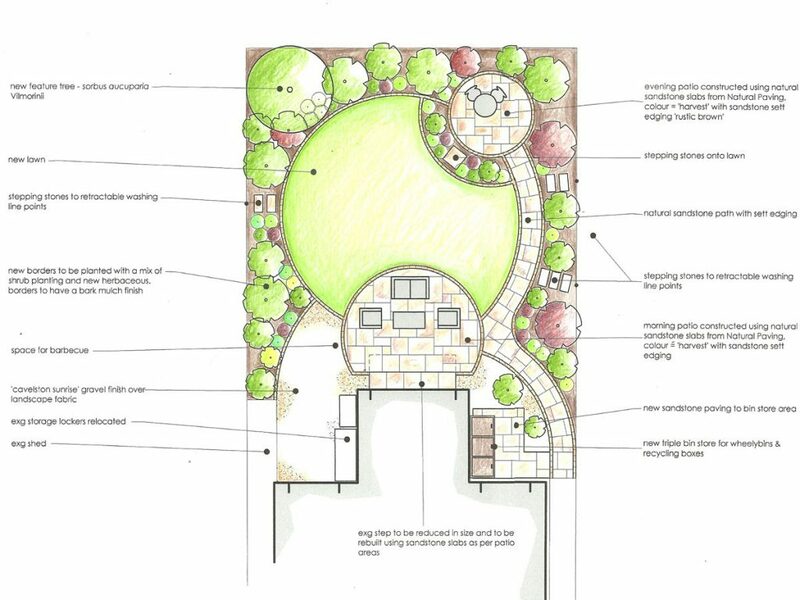 “Harvest” sandstone was used to create curving paths and patios making the garden look inviting and interesting. 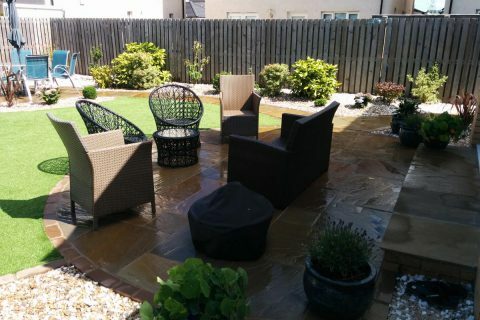 Beside the house, the morning patio is the perfect place to relax with a coffee and a good read. 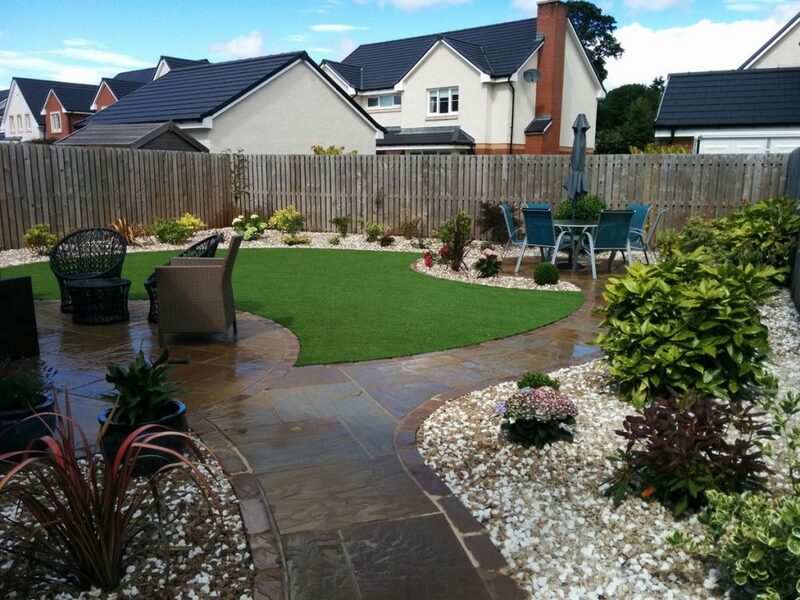 Take a walk round the new lawn and you reach the evening patio, providing a lovely space to enjoy an evening meal. 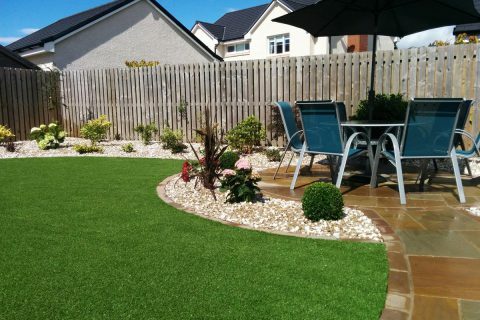 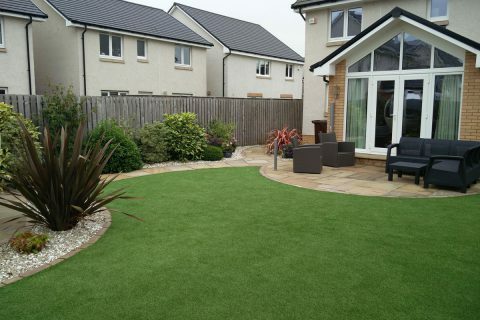 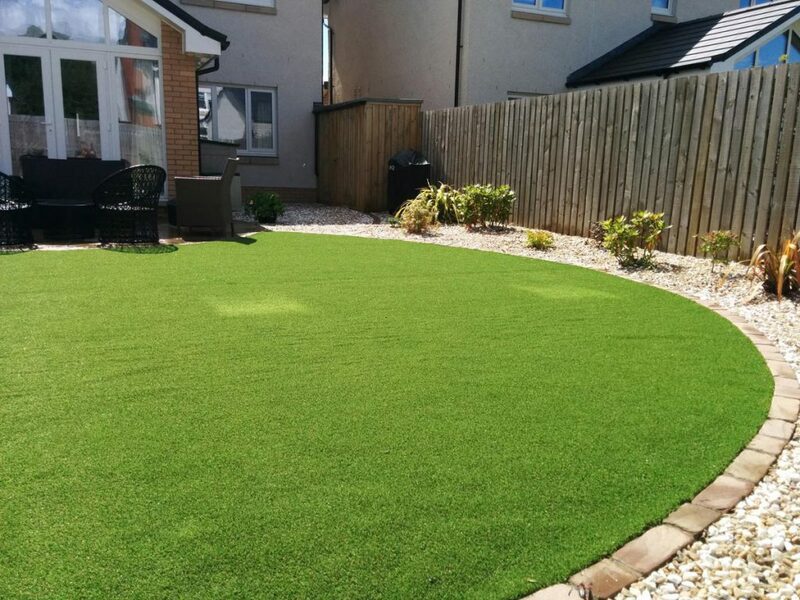 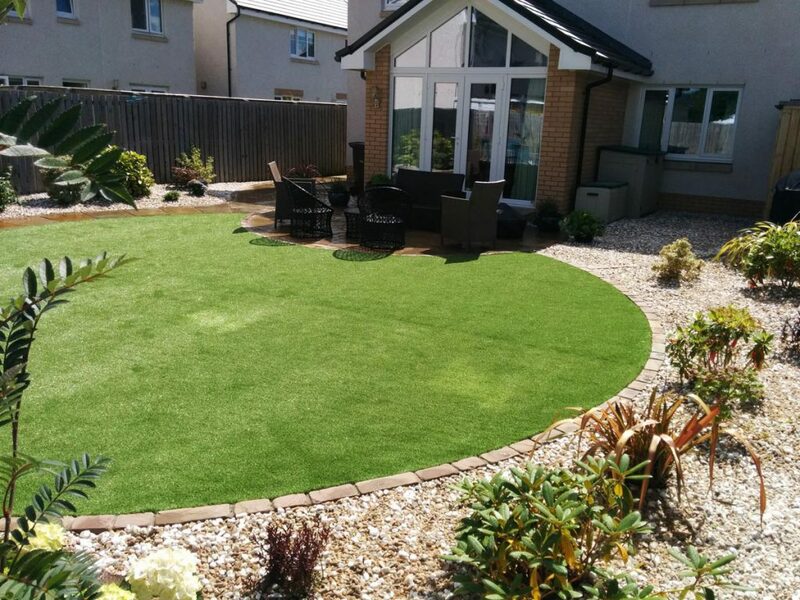 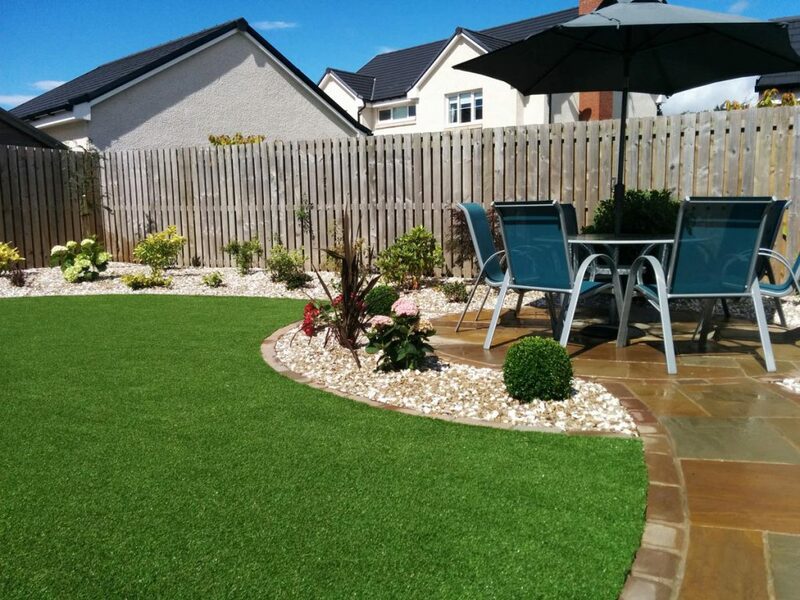 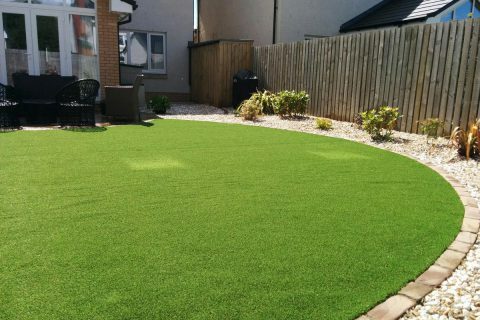 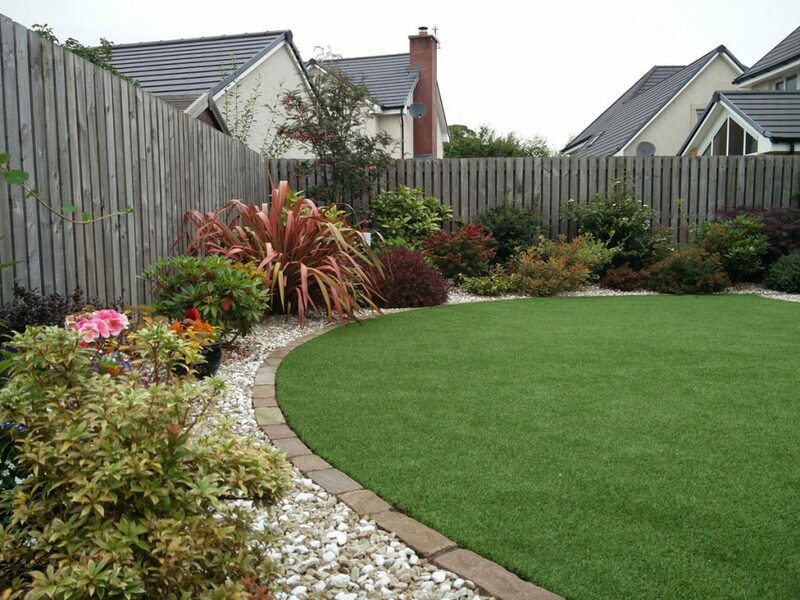 The poor soil was not ideal for real grass so, to help keep maintenance to a minimum, it was decided to create an artificial grass lawn. 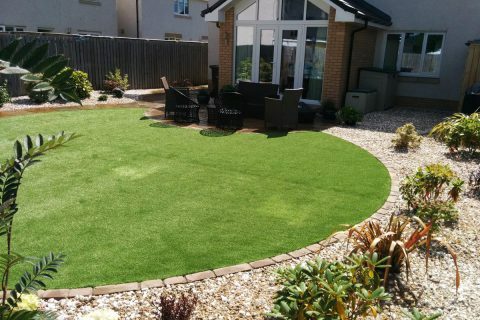 Making the lawn an interesting shape makes the garden much more attractive. 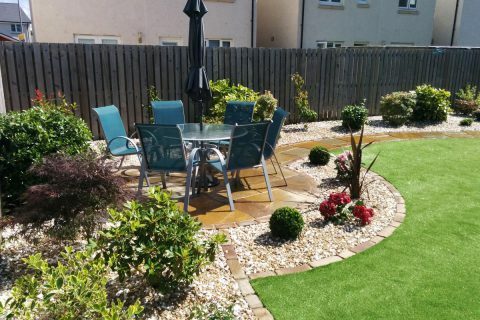 “Cavelston Sunrise” decorative gravel was added to the borders to continue the low maintenance theme to the garden and to complement the sandstone beautifully. 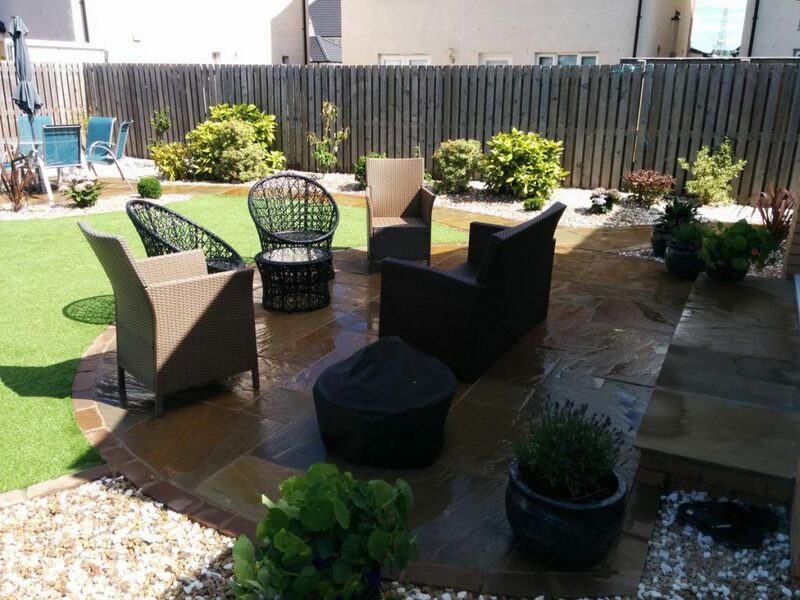 An unused, shady corner of the garden was transformed into the utility area of the garden with a shed and some storage units. 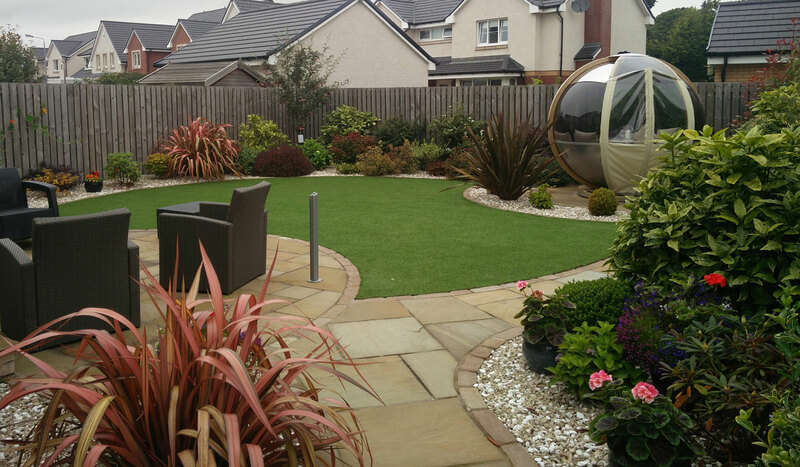 Low maintenance planting was required for this garden. 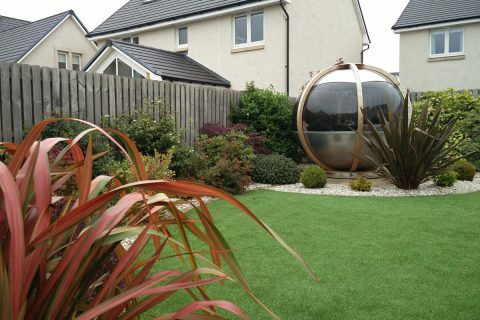 Strucutural shrubs such as box balls, phormium and a range of hebe create beautiful shapes around the garden. 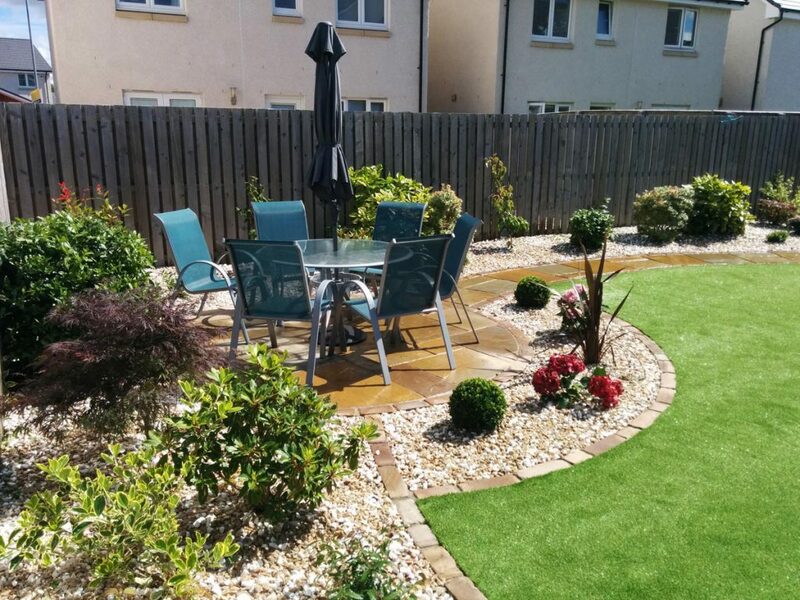 Year round interest is provided with lovely shrubs such as corylus contorta and hamamelis ‘Ruby Glow’. 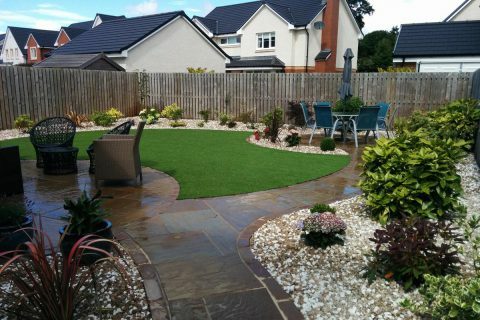 Hydrangea, rhododendron, spiraea and weigela all provide beautiful colour.